Microsoft's tablet strategy in disarray? The future of Surface. Microsoft’s tablet strategy in disarray? While I’m not yet a fan of Windows 8, I’ve tried to keep an open mind about Microsoft’s direction with their OS. Especially when it comes to the tablet market. Windows 8 seems to make sense if you are using a tablet or touchscreen computing environment. With that being said, I found this article interesting about the lack of movement of Windows Surface. 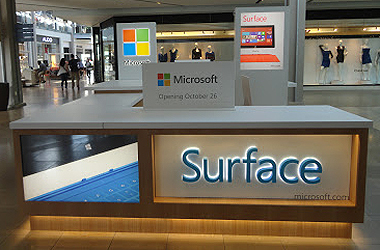 If Microsoft is being coy about revealing Surface sales data, it may be for good reason. Early demand for the company’s first tablet is lousy. How lousy? Put it this way: If Microsoft really did manufacture three million to five million Surface tabletsto sell in the fourth quarter, it’s going to have between two million and four million left over at quarter’s end. What are your thoughts about Surface? I admit that I don’t have any “hands on” experience yet with the device, and yes, even though I love my Macs, I am hopeful that Microsoft is competitive in the tablet (and desktop OS) space! What do you think about Microsoft’s direction? Surface? Let me know your thoughts!